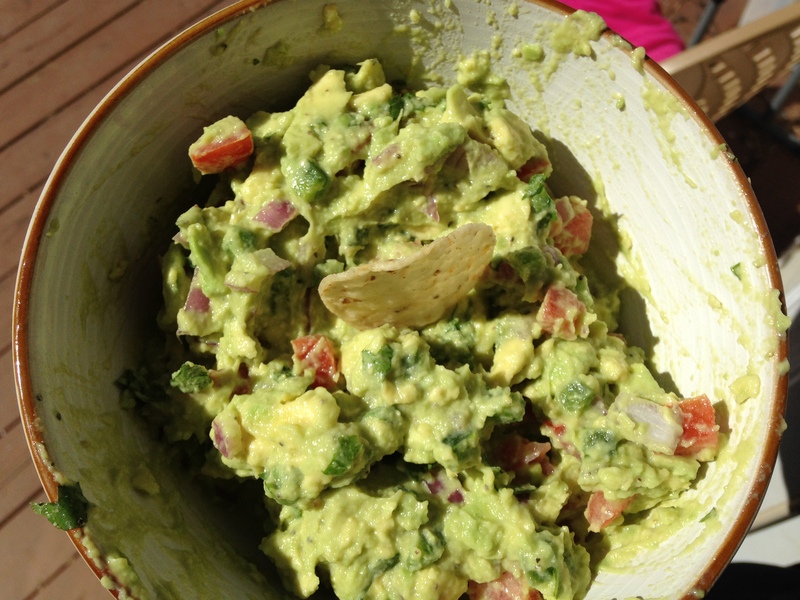 The Best Guacamole Recipe EVER! Happy Wednesday, y’all! The Best Guacamole Ever has been making Wednesdays brighter for a while now! You know what makes any wonky day better for me? Knowing that when it ends I am going to make Mexican food for supper! Mexican food always improves my mood and tonight I’m having Quesadillas & some of the Best Guacamole EVER! What can I say about Guacamole other than: joy and grace for our tummies y’all. It’s healthy and comes together in less than 15 minutes and makes any Mexican food night better or a great snack in general if you want to make it for no good reason at all. It’s addictive and thankfully healthy! I must confess to y’all. For over 30 years of my life I refused to try Avocado or Guacamole. Is that not one of the saddest things I could tell you? I didn’t enjoy the amazing gift of grace that is home made Guacamole. Somehow I consumed Mexican food for years without this blessing y’all! I assumed it was gross because of the texture since I am such a picky texture eater. It was just never appealing. One night several years ago I attended a birthday party at a local Mexican restaurant and watched them make it table-side. I was mesmerized because I’m obviously all about learning to make something new to me and since I was able to see how it was made and what went in- I tried it. Holy moly I was hooked! I ordered a 2nd for the table it was so good. This recipe for the Best Guacamole Ever though, takes the prize. As a nation we could live on it some days I believe but, I do not. I debate weekly becoming a person who only eats Mexican food as well- for the record. I will often go back to this restaurant and order just guacamole and chips as my entire meal. ANYWAY, after watching them make it for many many times I started making it myself. It’s super easy & really healthy since Avocado is a good fat. Please make it next time you’re craving a bowl of quac! Please tell me if you do and tell me what you do to make it your own. This recipe makes enough for 3-5 depending on level of consumption! I! If you can’t find ripe avocados place them into a brown paper bag. They should be soft enough by the end of the day if you place them in there first am! Be mindful not to buy MUSHY avocado because, that isn’t always a good thing. Tender but, not mushy! 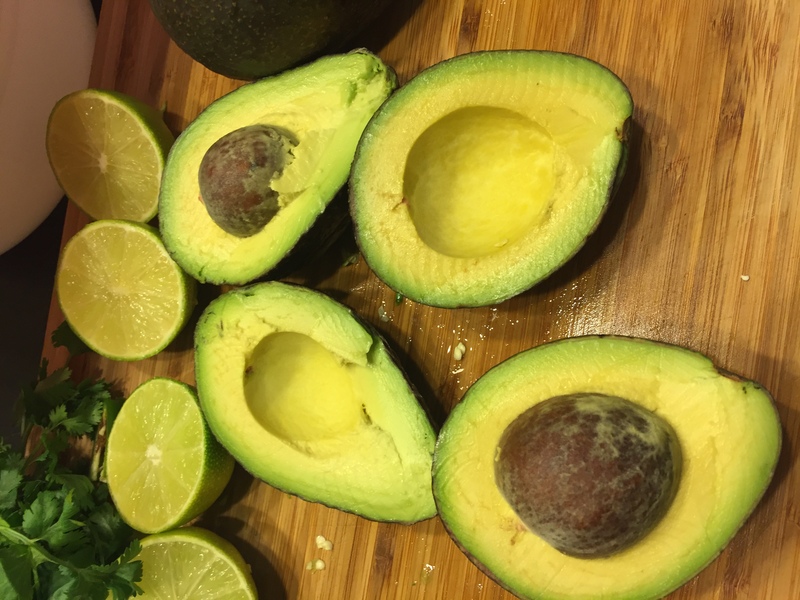 Immediately salt and lime juice your avocado once you remove it from the skin! Don’t be afraid of salt because this brings out a ton of flavor. Keep your Pits! This is THE only way to keep your Guacamole from browning when you make it ahead or keep leftovers! 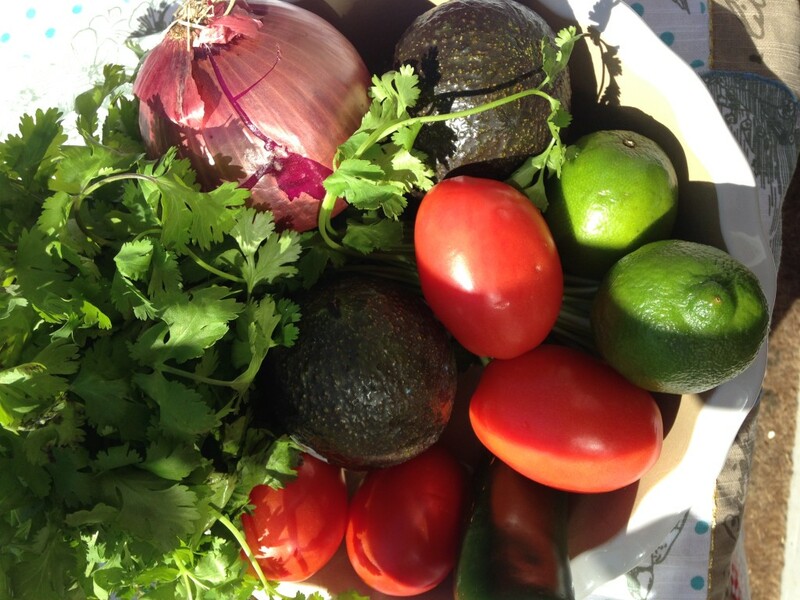 Simply throw them inside and on top of your guac and this will keep it green for a couple days! 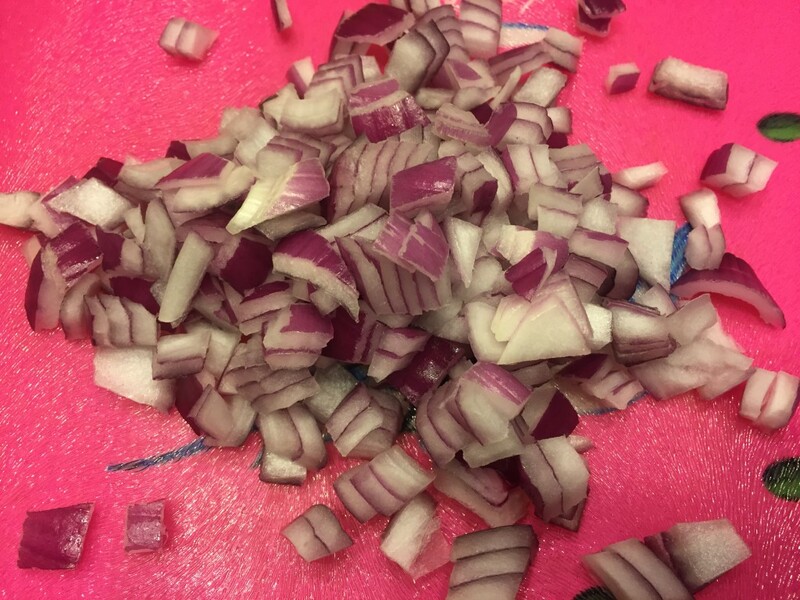 Use Red Onion if you have it because it’s lovely to the eyes and I think taste the best. Add your tomatoes at the very end once you’ve mixed everything else. They are full of water and making them mushy will lose alot of the flavor. I prefer to make mine chunky which means I don’t mix it to creaminess. If you want creamy guac often I find a blender or food processor is best but, again you lose some flavor. If you have a pasty cutter use it for the avocado! It’s really great for “mushing” but, not making too creamy so you still have small chunks. 1 medium Roma Tomato - seeded/diced. Slice open avocado and scoop out the pulp into your bowl. Immediately salt the avocado and squeeze one entire lime over the pulp. Using a fork or pasty blender if you have it and mash the pulp until you're happy with it's consistency. I like mine chunky! Keep it mind you're also not done mixing so it will be less chunky as you go. Take Avocados and scoop their contents into the bowl. Switch to a spoon and mix some more to blend the salt/lime juice. Now add the onions, garlic, cilantro. Mix them in gently and then add salt and at least 1 more lime. Sometimes, I add 3 depending on the size of lime. Taste and remember your tortilla chips will be salty also. When all of this is blended in you will add your tomato. Mix in gently because if you mush them or beat them too much it will water down the glorious guacamole you've now made! Serve immediately or keep covered in the fridge until ready to consume. Note: Keeping your avocado pits in the guacamole will keep it from turning brown! Try and keep yourself from digging in instantly, it’s really hard to not just eat the entire bowl because it is such a fresh flavorful treat! It really is the Best Guacamole Ever, friends. Can’t wait for your feed back on this! It’s something you will eat all Summer now that you know how super easy it is! 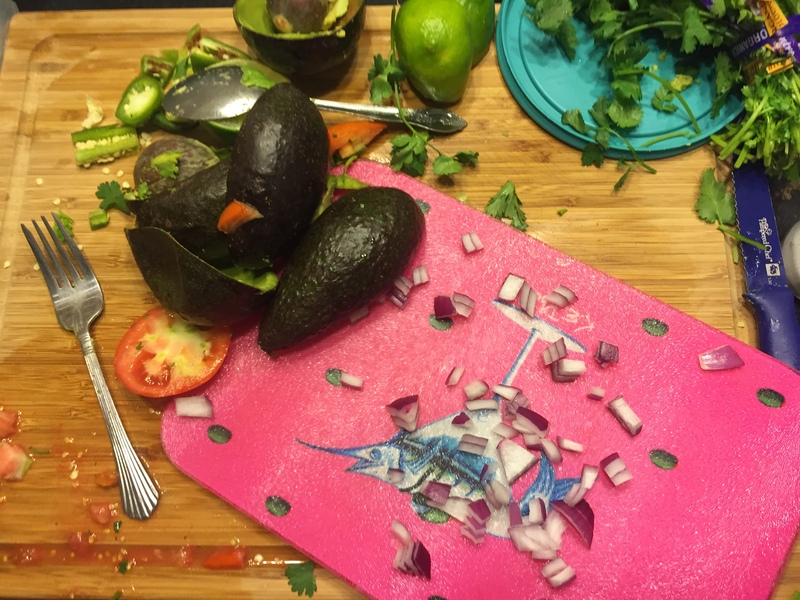 This entry was posted in appetizer, Easy, recipes and tagged #appetizer, #avocado, #bestguacamoleever, #blog, #cilantro, #feedfeed, #food, #foodblogger, #foodie, #fresh, #garlic, #goodness, #guac, #happy, #healthy, #homemade, #humpday, #instagram, #jenniferbakes, #jkbakingcompany, #july, #limes, #love, #meatless, #nomnomnom, #pinterest, #quac, #quacamole, #romas, #spring, #summer, #tacotuesday, #thankful, #thatsdarling, #thefeedfeed, #vegetarian, #wednesday, #wordpress, #yum. Hey Y'all! 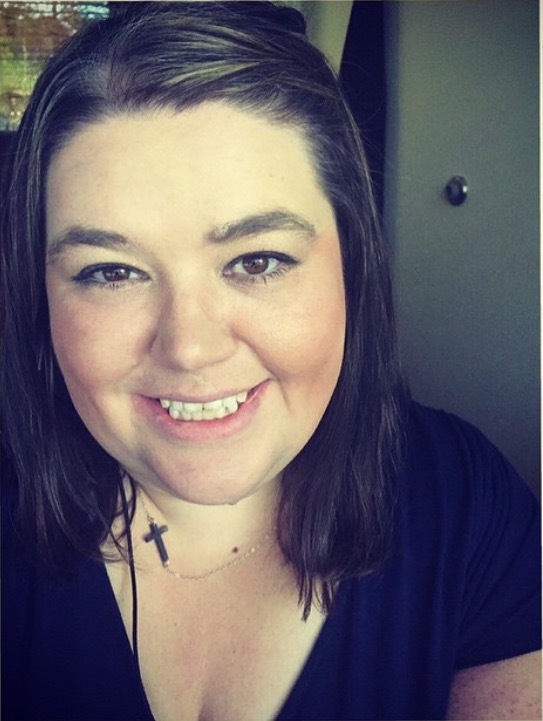 I'm Jennifer and it's great to meet you! I am a Southern girl born and raised in NC. I own a small baking business called JK Baking Company & I have dreams to be able to bake and write full-time should the Lord fulfill them. There are a few things in my life that always bring me joy: Jesus & His Grace, Thunderstorms, Sunrises, Laughter, & being in the kitchen- especially in the kitchen with people who are precious to me! I'm sincerely an introvert at heart! i love cooking & baking for my family & friends and I believe so much life and joy is meant to be shared in the kitchen making food from scratch or at a table full of laughter and talking. I am super excited you're here and hope you'll sign up to receive my newsletter so you don't miss a recipe or post! Similar to mine although if I get lazy, I just add fresh salsa from the grocery store and then cilantro and lime to taste. Hey Alice! I do that all the time too especially if I make a homemade batch of salsa. This looks yummy, I’ll have to try it. 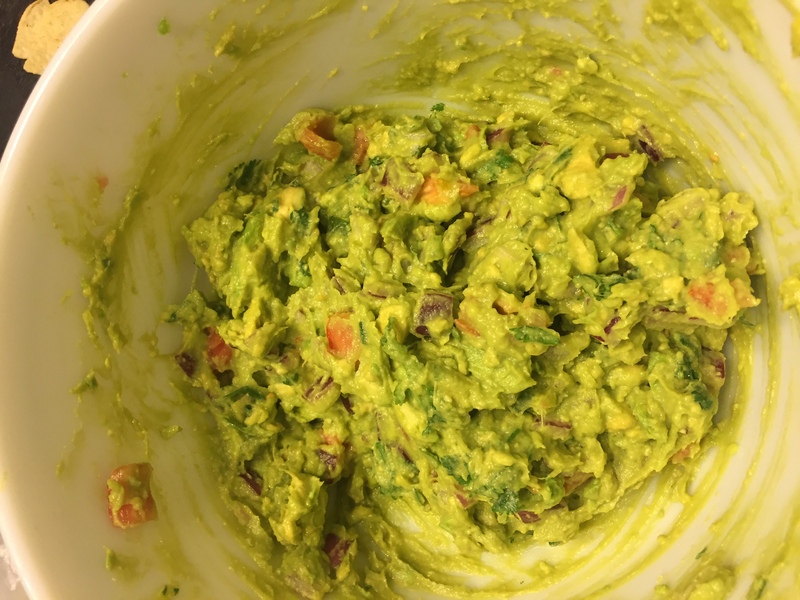 My daughter and I love guac but looking for a favorite recipe! 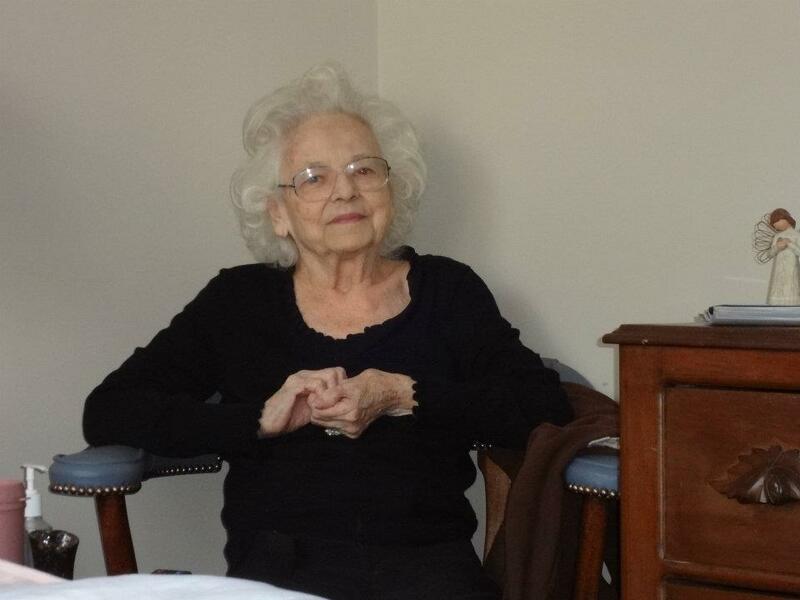 This will be your new favorite, Natalie! I can’t wait to hear if you make it. Happy Week! I love guacamole so much. Your recipe looks super yummy! I will have to try this one out. Thanks for the recipe. Hi Terra! I hope you made it- I am making some tomorrow because I have been craving it all day! Mmm… Looks delish! I love avocados. I’ll have to use this recipe next time we serve chips and dip! Ronnie, you will not be disappointed! I could eat this every day. Thanks for stopping by! WAIT. This is almost the exact recipe that I make! My bestfriend taught it to me a couple years ago. And I’m OBSESSED. The only difference is that I add black pepper. But that’s just because I literally add black pepper to everything. Lol. Hey! I bet adding pepper is a great addition. It’s funny how the basics of Guacamole shouldn’t vary but, some people add all sorts of things and completely change it. I am a huge fan of simple is best. Happy Wednesday, Kaylyn!